The 2015 Dodge Charger is among the premier vehicles Dodge is bringing forth for their 100th anniversary lineup which includes the incredible 2015 Dodge Challenger model, among others. The 2015 Charger is the cream of the crop among four door muscle cars, and competes with some 2-door coupe muscle cars as well. With its design cues from the late 60s and modern technology, the Charger provides an unmatched experience for drivers and passengers alike. With limitless customization options, and available features, the 2015 Charger could fit almost any driver's needs. It also receives up to 31 mpg on the highway in while receiving over 300 horsepower by utilizing the 3.6-liter Pentastar V-6 engine. Dodge Charger SE and SXT rear-wheel drive (RWD) and all-wheel drive (AWD) models are powered by the award-winning 3.6-liter Pentastar V-6 engine, which delivers 292 horsepower at 6,350 rpm and 260 lb.-ft. of torque at 4,800 rpm and a best-in-class 31 miles per gallon (mpg) on the highway. For the muscle-car enthusiast, the 2015 Dodge Charger R/T that features the legendary 5.7-liter HEMI V-8 engine that delivers 370 horsepower and 395 lb.-ft. of torque, now combines the engine's four-cylinder mode's Fuel Saver Technology with three additional gears from the TorqueFlite eight-speed automatic transmission for maximum performance and efficiency. Inspired by its performance-enthusiast heritage when Charger first launched more than 45 years ago, the 2015 Charger successfully pays homage to past muscle cars while offering a distinctly modern exterior and many interior appointments. The exterior of the 2015 Dodge Charger is spiritually inspired by the legendary second-generation Charger from the late 1960s, and for 2015, it specifically draws its design cues from the 1969 model. 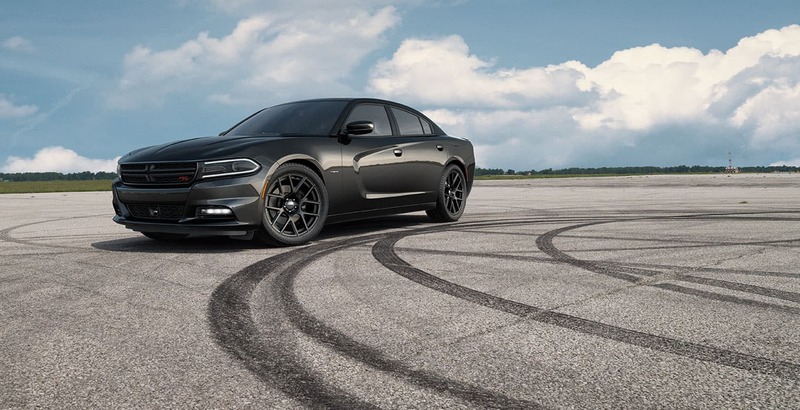 With its rear-wheel-drive (RWD) platform and track-tested power, the Dodge Charger's modern take on old-school muscle is sure to resonate with today's enthusiasts and critics alike. 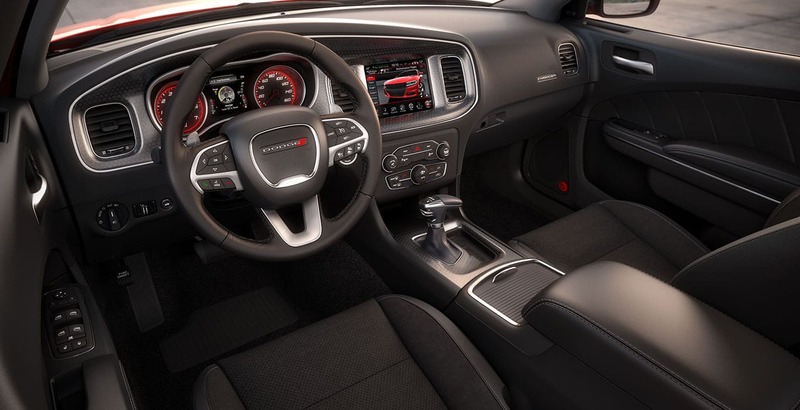 The 2015 Charger's interior is brought to life by a unique premium aluminum-lithograph driver bezel, which enables a seamless, billeted and highly detailed appearance that carries through the instrument cluster and center console. The iconic Dodge Charger gets a full-body makeover for 2015 along with powertrain refinements that include a standard TorqueFlite eight-speed automatic transmission on both Charger's standard 3.6-liter V-6 Pentastar engine and, new for 2015, the R/T equipped 5.7-liter HEMI® V-8. The 2015 Charger will be available in four models: SE, SXT, R/T and R/T Road & Track. Its 1969 styling, modern interior design, and power to spare, the 2015 Dodge Charger is sure to excite driving enthusiasts and owners alike. For more information about the 2015 Dodge Charger, call us today! Learn more about this model on the Official Dodge Charger Website.